Making a one-time gift charitable contribution to The Arc is a quick and easy way to support people with intellectual and developmental disabilities in Carroll County. A gift to The Arc is a wonderful way to honor someone you care about or acknowledge an important event such as a birth, anniversary or birthday. You may indicate your preference if you’d like The Arc to send an acknowledgement to the person/people you designate to let them know that the gift was made. This document was published with permission from the Association of Fundraising Professionals. You can donate a used car, van, truck, boat with trailer, or recreational vehicle to The Arc Carroll County. The proceeds from the sale of donated vehicles help sustain community based programs and services in support of people with intellectual and developmental disabilities. We accept any vehicle regardless of age and condition! Towing is free (whether the vehicle runs or not). It’s fast and easy. Click on the button below to get started. You’ll need your title in hand. Prefer to speak to a person? Please have your title in hand when you call and an operator will assist you. Vehicle donations made to The Arc are tax deductible. Please consult a tax professional for further information. The Arc Carroll County and The Arc United States partner with Melwood Charity Car Donation Center, a non-profit organization, to manage the vehicle donation program. Be sure to select The Arc Carroll County when you complete the online form or call the toll free number. This will ensure that The Arc Carroll County will receive the proceeds from the sale of the vehicle. People can also donate directly through our website at www.arccarroll.com, or call or email Kim Booe at 410-848-4124 ext. 112 or kbooe@arccarroll.com. When donating through the website, please remember to fill out the note at the end of your Paypal transaction specifically earmarking your donation is for The Secret Santa program. 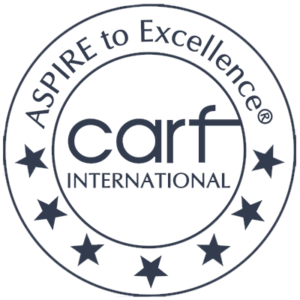 The Arc Carroll County is a Westminster-based nonprofit that is dedicated to serving the needs of those with intellectual and developmental disabilities. We offer transportation, housing, support services and vocational training and job assistance to approximately 700 clients in Carroll County. For more information visit us at www.arccarroll.com. Raise money for The Arc simply by using the GoodSearch search engine or shopping through GoodShop. Simply go to www.goodsearch.com and designate The Arc of Carroll County as your charity. Make GoodSearch your default search engine so you don’t even have to think about it in the future. Then, The Arc will receive a penny for every time you search the web. Even better, if you shop through www.goodshop.com, The Arc can earn up to 30% of what you spend. Many companies will match charitable gifts made by their employees. This will increase the impact that your gift makes. Contact your human resources office to find out if your company has a matching gift program and if so get the necessary forms. The completed form should be sent to The Arc with your gift. We then submit the form to your company for the matching gift. Many companies and government agencies participate annually in a United Way campaign. Please consider selecting The Arc Carroll County as the recipient of your workplace campaign gift. Note: some campaigns list us as “The Arc” and some list us as “Arc” if you search for us by name. Below is a list of United Way campaigns and our agency designation number for each. Contributions to The Arc are tax deductible. A copy of our current financial statement is available upon request by contacting The Arc Carroll County at 180 Krider’s Church Rd., Westminster, MD 21158 or 410-848-4124. 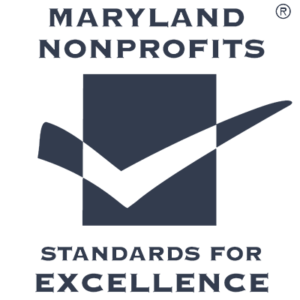 Documents and information submitted to the State of Maryland under the Maryland Charitable Solicitations Act are available from the Office of the Secretary of State, State House, Annapolis, MD 21401 for the cost of copying and mailing. My brother Barry was born in 1945 into an era that did not recognize the special needs of any but those children society deemed “normal.” When my parents realized there would not be an education available to Barry, they, with the help of other like-minded parents, began the first organized educational effort for him. As a small child, I remember riding around in an old station wagon picking up other children like Barry – those who would never be welcome in the public schools. With much support and funding over many years, that effort has transitioned into The Arc Carroll County and become much more than even my parents could have ever imagined. Until his death in 2012, Barry spent his days at The Arc being instructed and supported by caring staff. The Arc provided him the opportunity to develop friendships, work skills, and a structure to his life. Since that first ride in the station wagon, then later riding the bus (a big deal), he acquired life skills and opportunities that would not have happened without the existence of The Arc. Most importantly, when the time came that Barry needed residential care, The Arc stepped up. He lived his last years happily, in a group home setting receiving the best care and continuing his relationships within The Arc. I loved my brother – Barry had a great smile, was funny and uncomplicated, and helped people laugh at really stupid things. He was so much a part of The Arc Carroll County and its activities that it is hard to imagine the building without him! I will always be grateful to them for all they did for my brother throughout his lifetime – I know that Barry was happy. Only with the support of people like you can these services be provided to so many in need. I sincerely hope you will consider a donation for this extra-special organization. Think of it as being for Barry—and others like him who need the extra assistance to experience life to the fullest. P.S. Please consider making a monthly gift to The Arc Carroll County. Your gift will provide The Arc with ongoing support needed each month to support people like Barry. Click here to get started. Thank you!